If you would like a quote, or would like to place an order or have any questions about any of our products you can fill in our simple online contact form and we will respond to you as soon as possible. A direct deposit, cheque, money order or credit card payment is required in full before the goods are printed, manufactured, packed and then sent to your delivery address. Account details will be emailed once an order has been placed. You do not have to have a PayPal account!? Once your order is finalised Cooler Shop will email you a payment request. When you receive the email, and click the payment link you will be redirected to PayPal’s secure transaction page where you can complete the payment. Please note! All payments made by PayPal incur a 2.9% transaction surcharge. For existing customers all products are supplied on 7 day net trading terms. Please note that prompt payment will insure prompt service. 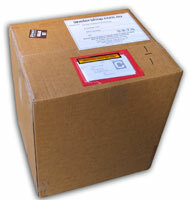 We reserve the right to withhold delivery of goods for non-compliance with our trading terms. For International customers we use Australia Post, this is the most cost and time effective way of transport without compromising the quality and final look of the product. As a rough guide, it costs about $1 AUD/cooler for shipping to Europe.